United Percussion Staff — United Percussion and Arts, Inc.
EXECUTIVE DIRECTOR OF UNITED PERCUSSION AND ARTS, Inc.
John has served as Executive Director for United since its inception in 2003. He is currently the percussion caption head and arranger for Buena Regional High School. John served as the director for Eagle Percussion from 1999-2002. John's educational background includes a Bachelor of Science-Accounting; Bachelor of Science-Finance; and a Bachelor of Science-Marketing from Drexel University. John also attended Rowan University and received a Post-Bachelor Certification for Secondary Education. John's other teaching experience includes Haddon Heights High School from 1999-2001 and Collingswood High School from 1996-2000. Michelle was a 4 year member with United Percussion from 2008-2011 and played Keyboards, Vibraphone and Sampler. In the fall of 2011, she joined the marching band staff at Quakertown High School teaching their Front Ensemble. Her marching career started in 2002 as a member of the Wissahickon High School marching band and indoor percussion ensemble. While there, she was a Drum Major and awarded the John Philip Sousa Band Award and the Semper Fidelis Award for Musical Excellence. She then continued her education at Drexel University, earning her Bachelors of Science in Business Administration. After aging out, she continued her journey with United Percussion on staff as the Electronics Coordinator in 2012 and 2013 and had served as Assistant Director from 2014-2018. Michelle is currently pursuing her MBA in Marketing and Business Analytics at Temple University. Chad began his marching career with the 15-time Atlantic Coast Champion Middle Township High School Marching Band. In 1993, Chad marched snare with the Jersey Surf Drum and Bugle Corps. Chad currently teaches and arranges for Middle Township High School. During his span with MTHS, they won 15 Atlantic Coast Championship titles including 7 straight seasons, 4 percussion titles and 8 top three percussion placements. MTHS also won 3 TIA titles during that span, including 2 undefeated seasons. In 2001, Chad joined the two time WGI PIO finalist Riptide Indoor Percussion Ensemble as the battery instructor. From 2002-2003, Chad served as the percussion caption head and arranger for the 2002 WGI Mid-Atlantic Regional finalist and 2003 TIA PSO bronze medalist Archbishop Ryan. Chad has been with United since its inception. In that span, United has won 3 World Championship medals, including the 2007 Independent Open World Championship. Chad has been a member of the WGI Percussion Advisory Board since 2003 and is a current member of the Vic Firth Education team. Chad's educational background includes a B.A. and J.D. from Rutgers University. He practices civil law in New Jersey and is an equity partner in the law firm Hoagland, Longo, Moran, Dunst & Doukas. Woody is currently the acting Band Director and Instrumental Music Teacher for Winslow Township High School. His recent achievements include: 2006 Marching Unit Director, Hatboro- Horsham High School- Cavalcade of Bands American Division Champions; 2006-07 Music & Percussion Arranger, Spring-Ford HS, Royersford, PA- Atlantic Coast Championship Group IV, 2004-07 Indoor Percussion Director, Plymouth-Whitemarsh HS- Cavalcade of Bands Indoor Percussion Champions, 2004-06 Arranger & Percussion Instructor, Hammonton HS, USSBA Group I State Champions. Woody has been a performer, Caption Head, composer and arranger for the Jersey Surf Drum & Bugle Corps, Bushwhackers Sr. Drum & Bugle Corps, United Percussion, and Riptide Indoor Percussion. Woody has also taught percussion and drum lines for Upper Moreland HS, West Chester University, Southern Regional HS, Highland HS, and Pennsauken HS. He is also an independent composer for marching bands and indoor percussion ensembles in PA, NJ, GA, TN , FL & CA. Paul Nalesnik is a freelance percussionist, arranger, and educator based out of central New Jersey. He is currently the Battery Arranger and Caption Head for United Percussion, Battery Arranger for the Hawthorne Caballeros Drum & Bugle Corps, and Quad tech at The Cadets Drum & Bugle Corps. Paul also served as Battery Coordinator for the Crossmen Drum and Bugle Corps in 2014. In addition to teaching drum corps, he also was the Caption Head and Arranger for the Rutgers University Drumline from 2012 until 2016. Paul taught percussion classes as an Adjunct Percussion Teacher at Immaculata High School, and was a Percussion Consultant for the Arlington (NY) High School Marching Band. Presently, Paul is looking forward to serving as the Percussion Director for Marple-Newtown High School. His marching career began at United Percussion in 2009 and 2010 marching quads. He then went on to march the Santa Clara Vanguard for the 2011 and 2012 seasons. With SCV, he was a featured performer at PASIC in 2013. In addition to his marching performance background, Paul received second place at the 2013 Atlanta Modern Snare Drum Competition, and received first place at the 2014 PAS Kosa NY Chapter Snare Drum Competition. Paul is also credited with playing snare drum on the Wu-Tang Clan album “40th Street Black”, and with helping design and perform the opening to the 2013 Victoria’s Secret Fashion Show. Along with his performance and education experience, Paul has published a snare drum solo book through Bachovich publications, entitled “The Rutgers Solos”. As a dedicated educator, Paul has been inspired by many notable teachers; including Joseph Tompkins, Paul Rennick, Tom Aungst, Javier Diaz, Ken Riehman, and Kyle Zerna. Ian Hale received degrees in percussion performance from the University of Calgary and the University of Massachusetts, Amherst where his teachers included Dr. Glenn Price, Eduardo Leandro and DCI Hall of Fame member Thom Hannum. He was a member of the music faculty at UMass from 2007-2008 and served as the Assistant Director of Bands for the Calgary Stampede Showband from 2009-2011. He is currently the Percussion Director and Arranger for Spirit of America from Orleans, Massachusetts. Ian has worked with and arranged for many fine ensembles including the Calgary Stampede Showband, Spirit of America, Thomas Jefferson High School Band, Dartmouth Indoor Percussion, United Percussion, Boston University and the U.S. Army All-American Marching Band. He was a member of the percussion staff for the Glassmen, the Magic of Orlando and the Madison Scouts and spent 9 years on the percussion staff for the Carolina Crown Drum and Bugle Corps. He is currently on the percussion staff for The Cadets Drum and Bugle Corps. Ian is endorsed by Vic Firth Inc., Remo Inc. and Zildjian Corporation. Mike Bishop is an experienced and active producer, musician, educator, designer, and international clinician. He arranges and produces for high school & university ensembles around the United States and Europe, including the West Chester University Incomparable Golden Ram Marching Band and European X of The Netherlands. Previously, Mike served as the Front Ensemble Coordinator of the Crossmen Drum & Bugle Corps (2015-2017), the Front Ensemble Arranger of the George Mason University Indoor Drumline (2017) & the Spirit of '52 Drum Corps from Rastede, Germany (2014-2018), and on the Front Ensemble Faculty & Social Media Team for the Carolina Crown Drum & Bugle Corps (2010-2014), capturing a Drum Corps International World Championship in 2013. Additionally, Mike has served as a member of the Front Ensemble Faculty of Rhythm X & The X Academy and on the Board of Directors for Invictus World, Inc. - the first WGI Independent World color guard from Austin, Texas. Originally hailing from Philadelphia, after more than five years living in Austin, TX, Mike and his wife, Kelsey, returned to their hometown in 2016. While in Austin, Mike served as the Front Ensemble Coordinator of the Cedar Park HS Timberwolf Band. Since joining the team in 2011, he and his colleagues have captured two UIL Texas Marching State Championships, a PASIC Marching Championship with Best Front Ensemble Caption, and a Lone Star Classic Drumline State Championship. Previously, Mike lived in the Dayton, OH area as the Percussion Director for Bellbrook HS from 2009-2011, and participated in the Walt Disney World College Program in 2008 in the Orlando, FL area. As a performer, Mike has over 30 combined seasons of performance experience with scholastic and independent groups in the pageantry arts including Riptide Percussion (2002), the Jersey Surf Drum & Bugle Corps (2002-2005), United Percussion (2003-2008), Carolina Crown (2006-2008), and a Winter Guard International World Championship with Rhythm X (2009). He also has been in performances for the NASCAR All*Star Drumline (2008), the Q-StixTM Cleveland Cavaliers Basketball Drumline (2009), and Aerial Experience Productions (2010). Immediately following his drum corps age out, Mike joined the staff of the Blue Stars Drum & Bugle Corps (2009) before joining the Carolina Crown's Front Ensemble Faculty in 2010. In the WGI scene, Mike was on the staff of Redline Percussion (2010), European X (2014, 2017-2019) in The Netherlands, and Rhythm X (2015-2016). 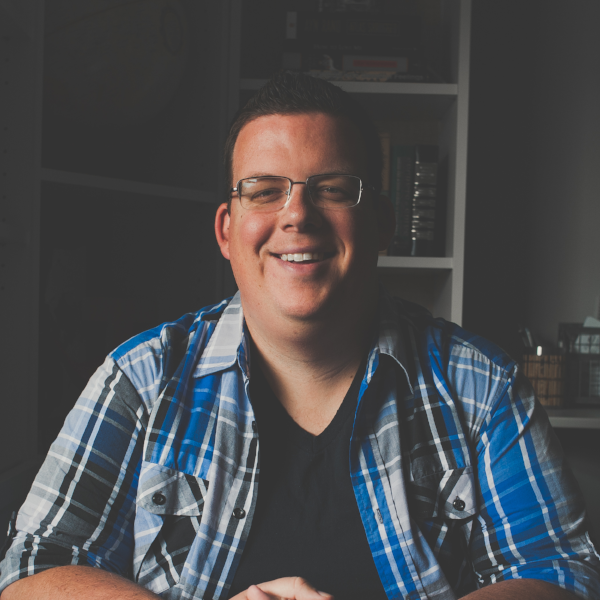 As a producer, Mike is experienced in creating soundtracks for commercials, dance teams, and color guards, including the 2018 WGI Scholastic World Finalist Miamisburg High School (OH), 2015 WGI Scholastic A Finalist Manor High School (TX), Invictus (TX), The Black Watch (NJ), as well as samples and sound effects for the pageantry arts. He has composed and arranged hundreds of works for various scholastic, independent, and corporate programs. Mike is a member of the Phi Mu Alpha Sinfonia Fraternity of America, a Yamaha Artist, and a proud endorser of Vic Firth sticks & mallets, Zildjian Cymbals, and Remo drum heads. He has presented clinics at Music For All's Bands of America Summer Symposium, the Texas Bandmasters Association Annual Convention, and throughout the United States, Europe, and Japan. Jaime Holly is a full time drill designer and visual instructor living in Long Beach, CA with his wife Rebekah and daughter Parker. He began his marching career in the soprano line of the Concord Blue Devil B Corps in 1989, moving to the World Champion A Corps in 1991 through 1993. He returned to the Blue Team in 1997 where he is currently a visual instructor and drill writer. His affinity for mathematical problems can be traced through his BS from Fresno State in Math. Jaime earned a teaching credential from Cal State Hayward and was a math teacher at James Logan High School before he decided to give it up for the fame and fortune of drill writing. Jaime is the visual caption head and designer for several award winning high schools in BOA and WBA, as well as independent non-profit organizations in DCI and WGI. He has also served on the DCI Task Force. Currently, he has the pleasure of working with the Soka Renaissance Vanguard from Tokyo, Japan. Some of the groups he has had the opportunity to work with are: Bluecoats Drum and Bugle Corps, Mystikal Drum and Bugle Corps, Pacific Crest Drum and Bugle Corps, Upland High School, Fountain Valley High School, Legacy High School, Haltom High School, Colleyville Heritage High School, Desert Vista High School, Winston Churchill High School, Clovis West High School, James Logan High School, Freelancers Indoor Drumline, Black Knights Indoor Drumline, and the El Diamonte Indoor Colorguard. Micah's experience in the marching genre has included time as a marching member and a cymbal instructor with the Jersey Surf Drum and Bugle Corps. Micah became percussion caption head and percussion arranger for the 2001 and 2002 marching band and indoor percussion seasons at Washington Township High School in New Jersey. His accomplishments as caption head there include 5th place Scholastic A at the 2003 WGI Championships in Dayton, OH. Micah's other teaching experience includes two TIA Championships as a cymbal instructor with Bensalem High School Indoor (PA). Micah's educational background includes a B.S. in Graphic Design Communications from Philadelphia University. His profession as a graphic designer is at the Monterey Bay Aquarium in Monterey, California. Micah was recently featured on the new hit TV show "The Taste." Dave’s marching career began in high school with the Hunterdon Central Regional High School Marching Band. While in high school, Dave became a member of United Percussion’s front ensemble. Dave marched with the ensemble in 2007-2010, winning the WGI PIO Championship in 2007. Dave went on to march with the Boston Crusaders in 2009 and 2011, serving as the center marimba and section leader of the front ensemble. While with Boston in 2009, Dave was a member of the DCI I&E gold medalist Percussion Ensemble, playing “Affirmation” composed by Andrew Beall. During his time in the marching activity, Dave had the great fortune to study under: Andrew Beall, Omar Carmenates, Jerry Carpenter, Steve Ballard, Brian Nozny, Mike Nevin, Tyler Sammons and Ellis Hampton. Dave has his B.S. and M.Ed. from Rutgers University. Dave currently lives in Providence, RI where he works for Brown University. Dave has previously worked with the Jersey Surf Drum and Bugle Corps, Raiders Drum and Bugle Corps and the Edison High School Marching Eagles. Dave is a proud member of the Vic Firth Education Team. Brad is a former member of United Percussion having played snare drum in 2012. He began his marching experience in 2005 with the Bayard Rustin High School marching band. As a senior, Brad auditioned and was selected to represent the state of Pennsylvania nationally in the 2009 U.S. Army All-American Marching Band Snareline. Brad continued on in college to perform from 2009 to 2011, two of these as section leader and center snare, with the Incomparable Golden Rams Marching Band of West Chester University. Brad was also a member of the Jersey Surf Drum and Bugle Corps in 2008 and 2009, Crossmen Drum and Bugle Corps in 2010, followed by the Blue Stars Drum and Bugle Corps in 2011 and 2012. Brad has had the good fortune to work with renowned marching percussion educators such as Tom Aungst and Neil Larrivee. After aging-out of DCI, Brad served in the role of snare technician for the Jersey Surf Drum and Bugle Corps in 2013. During the summers of 2014 and 2015, Brad served as percussionist/stage manager of the internationally award-winning “Cocoa Rhythm Factory” at Hersheypark. Brad recently received a dual Bachelor of Arts Degree from West Chester University in Music Education and Percussion Performance. Brad is currently preparing for his fourth year as percussion coordinator and arranger for the award-winning Marple Newtown High School Tiger Marching Band in Newtown Square, PA. He has served as percussion coordinator and snare technician with many groups in the surrounding area such as Bayard Rustin High School, Spring-Ford High School, Coatesville Area Senior High School, Downingtown West High School, and East Pennsboro High School. Patrick is teaching on the United Percussion staff for his second season in 2019. He marched with United in 2014. Patrick was a member of the Rutgers University Drumline for four years, and was Section Leader for three, working with United's Battery Caption Head and Arranger Paul Nalesnik. He was also a member of Cadets Winter Percussion in 2015. Pat began his drum corps career in 2012, marching with the 7th Regiment until 2013. He then joined the snareline at The Cadets for the 2014, 2015 and 2016 seasons, where he was section leader and center snare for his final two years. Patrick has been on staff at The Cadets for the 2017 and 2018 seasons as a snare technician. Pat is a graduate of the Rutgers Business School in New Brunswick, where he majored in marketing. Charlie is an experienced performer and educator from Central Pennsylvania. His competitive drumming career began in the winter of 2014 with the Liberty University Indoor Drumline, where he earned a WGI Bronze medal. Charlie stayed with LUID for the following two WGI seasons. Charlie then made his world class debut in 2017 with the George Mason University Indoor Drumline. In addition, Charlie spent two seasons competing in DCA with Cadets2 Drum and Bugle Corps, winning the Gold medal and high percussion award with the ensemble in 2016. He then went on to march with The Cadets Drum and Bugle Corps in 2017, and concluded his performance career in the winter of 2018 with United Percussion. Outside of his drumming career, Charlie is a recent graduate of Liberty University, where he earned a B.S. in Interdisciplinary Studies. Charlie is very excited for the opportunity to be on the staff side of the activity, and, as an alumnus of the organization, is thrilled to return to United Percussion as a snare tech. Joe will be on staff at United Percussion for his second season in 2019. Joe was previously a member of United Percussion in 2011. Joe began his drum corps marching career with the Reading Buccaneers in 2010. He played tenors for the group for the 2010 and 2011 seasons prior to becoming a member of The Cadets. As a member of The Cadets, Joe stayed through his age-out summer in 2013, and was a part of the percussion section that claimed the Fred Sanford High Percussion Award. Joe previously was Battery Caption Head at Upper Darby High School in Drexel Hill, PA, where he had taught from 2012-2016. His other teaching experiences include The Cadets, where he serves as one of the tenor technicians, as well as The Cadets2, where he maintains the role of Percussion Caption Supervisor. In 2016, Joe helped lead the Cadets2 to their first percussion title as well as the group's first championship. Joe has also worked as a percussion adjudicator in varied circuits along the east coast. Joe currently resides in Norristown, PA. He is a graduate of the accounting program at Temple University and currently works on his career in auditing outside of drum corps. Mark is a percussionist/educator/arranger based out of the northern New Jersey area. He attended Rutgers University for his bachelors degree in Psychology and currently still resides in the area in pursuit of his second bachelors in Music Education. Beginning his marching career with United Percussion in 2012 and 2013, his experience includes two years with The Crossmen Drum and Bugle Corps and two years with The Santa Clara Vanguard Drum and Bugle Corps. Mark was fortunate enough to be a part of the Santa Clara Vanguard percussion section when they were awarded the Fred Sanford High Percussion Award in 2014. Mark has also been involved with the Rutgers University Drumline for 6 years. Mark’s scholastic teaching experience started with Edison High School back in 2012, at which he currently holds the position of co-caption head for the percussion section. He has also had experience with various other high schools in the Northern/Southern regions of New Jersey. Mark also has had collegiate level teaching experience with the Rutgers University Marching Scarlet Knights Drumline. He also is currently the Percussion Caption Head for The Hawthorne Caballeros Drum and Bugle Corps and is on staff with The Santa Clara Vanguard. This is Mark's 3rd year on staff with United Percussion. Seth’s marching career started in 2012 with WGI World Class ensemble Palmetto Percussion. He then went on to perform with The Cadets Drum and Bugle Corps in 2014. Seth enlisted in the Marine Corps in June of 2015 where he currently serves as Bass Drum Music Instructor and a performing member of “The Commandant’s Own” The United States Marine Drum and Bugle Corps. He has taught several high school programs across North Carolina and assisted with The Cadets 2017 percussion staff. Seth is also a graduate of Western Carolina University with a bachelors degree in Music Education. 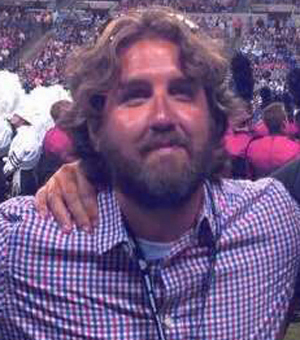 Greg is excited about joining the United Percussion staff for the 2019 season. He got his start with the Red Land High School marching band as a percussionist from 2004-2008. Greg’s marching experiences include the Hawthorne Caballeros Drum and Bugle Corps from 2006-2008, and The Cadets Drum and Bugle corps where he was a part of “The Holy Bass” as their Bass 1 from 2009-2012. In 2011, Greg and the rest of The Cadets took home the gold medal in DCI World Championships. In 2014, Greg served as a clinician staff member as a bass tech for Cadets Winter Percussion where they were gold medalists in WGI open class. Greg was also the Bass Tech for Cadets2 Drum and Bugle Corps from 2013-2014. Greg also was the bass tech for Mechanicsburg High School’s indoor and outdoor programs from 2009-2014, and Red Land High School’s 2009-2015 programs. Currently, Greg is the bass tech for West Shore School District’s outdoor and indoor programs. Emmy is teaching on the staff of United Percussion for her second season in 2019. Emmy started her marching career with Timber Creek Regional High School in 2010, where they were WGI Scholastic A class World Champions, as well as a 2011 A Class finalist. in 2013, Emmy went on to march with United Percussion. During this time, she also taught Fair Lawn and Edison High Schools. During her college years, she was a part of the Rutgers University cymbal line for three years, where she has had many great opportunities to perform at large events like the Super Bowl. She graduated in 2016 from Rutgers University with a B.A. in English and Communication. Currently, she is living in Brooklyn, New York and working for an advertising software company. Charlie Pollock is an educator from Old Bridge, NJ. His drum corps career began with the Jersey Surf Drum and Bugle Corps from 2013-2014. He then he went on to march with The Cadets Drum and Bugle Corps in 2015 and aged out with the Carolina Crown Drum and Bugle Corps in 2016. Charlie was a member of the United Percussion Cymbal Line in 2014, 2017, and 2018. He is currently a member of the New York Giants G-Line. As an instructor, Charlie has taught various high schools in New Jersey, including John P. Stevens HS and Bayonne HS. He is currently instructing his alma mater Old Bridge HS for both the outdoor marching band and indoor percussion ensemble. Charlie also taught on the visual staff at Legends Drum and Bugle Corps this past summer. Charlie graduated from Montclair State University with a Bachelors Degree in Food Science. Adrian Amegashie has been a marching percussionist since high school; he played bass, tenors and snare in school, then went on to play cymbals. He marched three years at the Jersey Surf Drum and Bugle Corps, one year at United percussion and two years at Rhythm X. His favorite part of the marching arts is the opportunity it gives to become a part of the music. Lindsey Hartfelder is an active percussion performer, arranger, and educator in the Amherst, MA area, and she received degrees in Percussion Performance and Music Entrepreneurship from the University of Massachusetts Amherst. Lindsey started her marching career with the Connecticut Hurricanes in 2012, and performed with The Cadets Drum & Bugle Corps front ensemble during the 2013, 2014, and 2015 seasons. She also performed with the University of Massachusetts Minuteman Marching Band percussion section from 2012 to 2015 under the instruction of Thom Hannum, and was an assistant front ensemble instructor in the 2016 season. During the 2016 summer she served as an intern with Vic Firth Company, and in the past year she has performed in So Percussion’s A Gun Show, the Boston premiere of Inuksuit by John Luther Adams, and in Dr. Iain Moyer and Jason Ihnat’s PASIC 2016 clinic on front ensemble arranging and instructing. She recently received a research grant from the Commonwealth Honors College for her research on modern percussion performance practice. Lindsey is excited to be pursuing her Master’s degree in Percussion Performance at the University of Delaware this upcoming fall, where she will be the marching percussion teaching assistant for the marching band, and she has currently taught the Jersey Surf front ensemble for the past two seasons. Angela grew up outside of Reading, Pennsylvania where she began her marching career with the Reading Buccaneers Drum and Bugle Corps from the years of 2012 to 2014. The following two summers she competed in Drum Corps International, playing both vibraphone and marimba for Carolina Crown. Her time performing in WGI included a year with Cadets Winter Percussion in 2016 and her age out in 2017 with United Percussion. She was also a featured performer at PASIC in 2016 with Carolina Crown’s percussion ensemble. Angela received bachelor’s degrees in both neuroscience and psychology from Temple University in 2017. Presently, she is living in Philadelphia, Pennsylvania and works at Temple University in the Memory Epigenetics and Addiction Laboratory. As laboratory manager, Angela studies the transgenerational inheritance of opioid addiction, as well as the neurological underpinnings of opioid-based craving and relapse. As a devoted educator of both music and science, Angela is a professor in Temple’s chemistry department. She is also the front ensemble coordinator for the Cadets2 front ensemble. 2019 will be Angela’s second year with United Percussion, and she is excited to be coordinating for the UPfront this coming season! for the Hawthorne Caballeros, and Front Ensemble Caption Head/Arranger for the Rutgers MSK. Matt received his Bachelor’s degree in classical percussion performance from Mason Gross School of the Arts at Rutgers University in New Brunswick, NJ, where he also has performed in some of their top ensembles. Using the knowledge he gained from educators such as Joe Tompkins, Kyle Zerna, Mike Truesdell, Javier Diaz, Steve Ballard and Ian Hale, Matt performs in local bands and orchestras in the New Jersey Tri-state area. In addition, Matt has performed as a member of the United Percussion Front Ensemble during their 2012-2014 seasons. Matt is incredibly excited to be a part of United once again and help to raise the group to new heights. Nick Graziano is a proud alum of United Percussion and has been teaching and arranging for front ensembles of all levels since 2013. Originally from Lansdale, Pennsylvania, Nick got his start competing in North Penn High School's Marching Knights and Indoor Percussion Ensemble. His performance experience since then includes two summers with the Reading Buccaneers Drum and Bugle Corps, a season with Field of View Indoor Percussion, and three seasons with United Percussion. As an educator, Nick has had the pleasure of working with numerous organizations including North Penn High School, Spring-Ford High School, Cab Calloway School of the Arts, Boyertown Senior High School, and Fusion Core Drum and Bugle Corps. Currently, he works for Marple-Newtown High School as Assistant Percussion Director/Front Ensemble Coordinator. Nick received a bachelors in Music History from West Chester University of Pennsylvania last fall and will be pursuing graduate studies in Music Business next fall. Nick could not be happier to be instructing this year’s edition of United and can’t wait to see what the season has in store! 2019 will be Kyle’s second year teaching United Percussion. Kyle began his marching career at Upper Darby High School from 2009-2013, winning a gold medal in 2013 at the WGI World Championships. He went on to play marimba for the Reading Buccaneers Drum and Bugle Corps in 2014 where his corps won gold overall and high percussion. In 2015, Kyle played marimba in The Cadets Drum and Bugle Corps. He began teaching the Front Ensemble at Cadets 2 in November 2016, and is excited to maintain that role. Kyle is also the percussion arranger for several high school programs in his area and is excited about moving further into that realm of the activity in his future. Kyle graduated in December 2017 with a degree in Music Education from Penn State University. While there, Kyle studied percussion under Dan Armstrong and Gifford Howarth. With their help, Kyle was able to become the recipient of 6 different distinguished awards for his solo performances in his four years at Penn State. He also recently completed student teaching high school concert band and elementary general music this past fall in the Spring-Ford Area School District. Lauryn has experienced the world of the marching arts from a very young age, particularly because of her mother’s influence. She attributes much of her success to her 8 years performing with the WGI A class finalist Haddon Heights HS “High Voltage” color guard program and its exceptional staff (2002-2009). After high school, Lauryn marched indoor color guard with The Light Brigade (2010), Alter Ego (2011, 2012), and The Black Watch (2014, 2016). Additionally Lauryn marched 6 years in The Cadets Color Guard (2008-2013). Lauryn’s instructional experience includes Haddon Heights HS, Washington Township HS, Surge Independent, The Cadets (2014, 2015), Bushwackers (2016, 2017, 2018), Blue Knights (2016, 2017, 2018), The Black Watch (2017), and other programs in the New Jersey area. In almost every aspect of her life, Lauryn chooses to dedicate her time and efforts to the growth and support of the youth around her. She has earned an Associate’s degree in social services from Gloucester County College (2012) and a Bachelor’s degree in psychology from Rowan University (2015). By day, Lauryn is a kindergarten aftercare teacher at an elementary school in New Jersey. On nights and weekends, she is working with multiple marching arts organizations. Lauryn does hope to continue her education in psychology so that she may follow her passion of helping others. 2019 is Lauryn's third year with the UP team. Brad has been an active educator and visual designer of the marching arts for over 20 years. His performance experience includes The Crossmen Drum and Bugle Corps (1993-1994), and the Santa Clara Vanguard (1995). He has been involved with many independent groups over the years, including the Jersey Surf Drum and Bugle Corps, Lehigh Valley Knights, Teal Sound, Crossmen, 7th Regiment, and the Boston Crusaders. Currently, he is a consultant for Q Winter Guard, (WGI IO Finalist 2016, 2017), and on the visual team at the Blue Stars Drum & Bugle Corps (2017-Present). In addition to working with independent groups, Brad has worked with many scholastic ensembles, most recently with visual instruction at King Philip H.S. from Wrentham, MA. Currently, he is the visual designer for Pecos H.S. from Pecos, TX, and Rancocas Valley Regional H.S. from Mt. Holly, NJ. 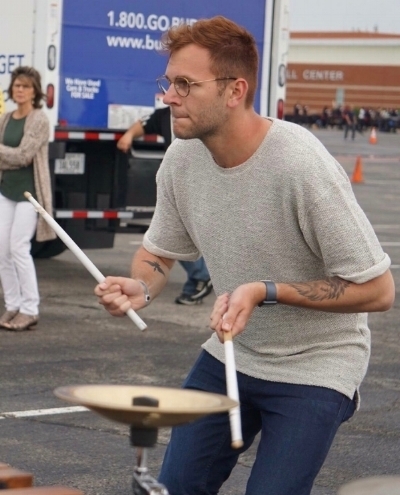 Brad was involved with United Percussion in 2004, 2017 and 2018. 2019 will be Brad’s fourth year with United. ©2019 UNITED PERCUSSION and arts, inc.